"Israel is carrying out ethnic cleansing in Jerusalem, and the defense of Al-Aqsa and of East Jerusalem is an obligation for the whole Palestinian people, and for the Arab nation," the Higher Arab Monitoring Committee said in a statement. The group was referring to the Al-Aqsa mosque, which sits atop the holy site in the Old City of Jerusalem. "The occupation is the most illegitimate thing in Jerusalem and the West Bank, and the struggle against it is a natural and legitimate act," the committee added. Higher Committee - or quite the Lower? "It is silly to insist that any organization that supports Israel say it is Zionist." Ella Koblentz hiked from Maaleh Michmas down though Nahal Prat. 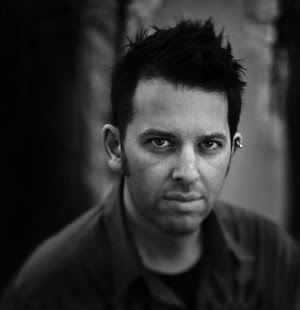 Is this Charles Manekin who uses the alias of Jeremiah Haber? Sometimes you can live next to people for years and not know exactly what they think. I gave an interview to a local paper in my town recently in which I said that in exchange for real peace with the Palestinians, Israel should give up the West Bank and dismantle its settlements. When the interview appeared, my neighbor stopped me on the street to complain. "How could you say such a thing?" he wanted to know. "This is a betrayal." It stands to reason that he would be surprised. After all, he and I are both residents of Maale Adumim in the West Bank—and Maale Adumim is a Jewish settlement. But I don't consider myself a settler. In my eyes, settlers are political extremists who believe land is more important than peace. They're zealots who move to the West Bank to fulfill God's promise to Abraham—to make Israel the land of his children alone. Taken to its logical conclusion, of course, this line of thinking will forever prevent Palestinians from having their own state. I encountered a good many people who thought this way when I worked for the mayor of Jerusalem between 1984 and 1994 as his adviser on Arab affairs. Years later I co-wrote a book about how, under Israeli rule, Jerusalem's Palestinian communities were mistreated and made to move beyond the city boundaries into the West Bank. “We can’t continue to speak like this, its an illusion people. I really also have to protest this dichotomous notion of there being extremists and moderates-who is the extremist here? Are Ray, and others, suggesting that President Abbas and the PA are the moderates? that they are the ones to reach out to? Let me let you in on a little secret: Most Palestinians don’t’ support Abbas. I certainly don’t consider him my president-his term expired in January. Where are all the other Palestinian voices? I am an observant Muslim; I also support a democratic one state solution; but I’m not Fateh or Hamas or anything else- I’m certainly pro-justice; do you consider me an extremist then? The Palestinian political spectrum is very diverse and pluralistic-its high time we recognized that and include these other voices in the conversation.” But of course, that would not be very convenient, would it. And of course, this is all to suggest a skewed definition of “moderate” on the Israeli side-”moderates” that support a sustained occupation, expansive illegal settlements, a continuation of the siege, and so on. Government-backed Jewish religious extremists have stepped up their efforts to seize a foothold at Al-Aqsa Mosque esplanade in East Jerusalem, ostensibly in order to erect there a Jewish temple. ...On Sunday, 25 October crack Israeli soldiers stormed the Al-Aqsa site, firing rubber-coated bullets, stun grenades and tear gas canisters at Muslim worshipers. The troops also savagely beat Palestinian worshipers, including women and children...The new violation of the holy site by Israeli forces followed a call by Muslim leaders in Jerusalem alerting inhabitants to go to the mosque and maintain a presence there to repulse a fresh attempt by Jewish extremists to storm the Noble Sanctuary and seize a foothold to practise Jewish rituals [well, at least we know who started the violence]. Jewish extremists, along with some government officials, hope that persistent provocations at the exclusively Islamic holy site will allow them to worship at the site and eventually build a Jewish temple. 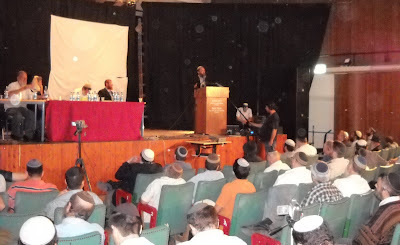 Meanwhile, the religious Zionist camp in Israel, which spearheads anti-Islam provocations at Al-Aqsa esplanade, held a meeting in West Jerusalem during which Jews were urged to descend to the Islamic holy place and wrest it from the hands of the "goyem" (a derogatory epithet for non-Jews). 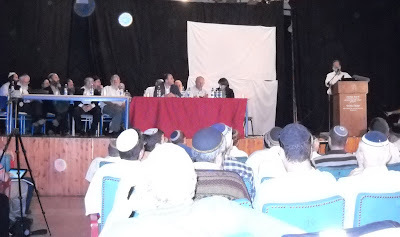 The meeting was attended by several prominent rabbis affiliated with the settler movement, as well as several Knesset members and other extremist leaders. Adnan Al-Husseini is the head of the Supreme Muslim Council [said] "we who live here and see things with our eyes on a daily basis are sure 100 per cent that Israel's ultimate goal is the demolition of the mosque and the building of a Jewish temple." Al-Husseini added: "Are we to believe Israeli lies and mendacious denials or our own eyes?" [maybe they're blind? ]...He added: "The situation can't continue like this. The Arab-Muslim world must take immediate action to protect Al-Aqsa Mosque. Muslim states that have diplomatic ties with Israel must act as well." According to Sheikh Taysir Tamimi, the chief judge of the Palestinian Authority, present Israeli provocations in Jerusalem are aimed primarily at partitioning Al-Aqsa esplanade. "They want to take over Al-Aqsa Mosque step by step as they did with the Ibrahimi Mosque in Hebron following the massacre of 1994." There Israeli occupation authorities partitioned the mosque, one of the most ancient in occupied Palestine, between Jews and Muslims, giving Jews the lion's share of the ancient structure where the patriarch Ibrahim (Abraham) is believed to be buried. (In Islam, Ibrahim, Isaac, Jacob and other Israelite prophets are also considered Muslim prophets). Muslims never accepted the partitioning, stressing that the mosque was an Islamic site of worship for more than 1,300 years. Yes, and a Jewish holy site continuously for over 3000 years. Adapted from Imrei Shefer, published in 1895, the Parshot HaShavua commentaries of Rav Shlomo Kluger (1783-1869) who was chief Dayan and preacher of Brody in Galicia for more than 50 years. Rav Kluger opens by noting that, as Rashi points out, the word לך - “to yourself” - in the opening verse is presumably superfluous. Rashi interprets it as “for your own benefit and well-being”. But Rav Kluger reminds us that there is a parallel use of the word in Bamidbar 13:2 – “send you - לך - men” but there, Rashi interprets it as meaning “according to your understanding” in the sense of God is not actually commanding Moses but leaves it up to Moses’ own volition. To solve the differentiation in the two instances, Rav Kluger recalls the principle that ‘one who is commanded and acts accordingly, his reward is in the World-to-Come’. He surmises that God’s intention was that Avram should gain and benefit from his residency in Eretz-Yisrael and therefore we should understand the use of “to yourself” as permitting Avram to gain benefits in This World by absolving him of a cognizant act. At $160, this book, "Gender in Transnationalism: Home, Longing and Belonging Among Moroccan Migrant Women" by Ruba Salih, must be either heavy (but it weighs in at 208 pgs) or printed in some ornate publishing fashion. The book, according to the blurb, "highlights women's construction of 'home' between Morocco and Italy as a significant site whereby broader feelings and narratives of displacement and belonging can be grasped. Salih investigates what Moroccan women's relations with their adopted country are and how their identities, conceptualisations of home and cultural practices are shaped by the transnational dimension of their lives. This interdisciplinary book provides a gendered account of transnational migration, in the context of changing configurations in both the social sciences and people's lives, of notions of locality, identity, difference and citizenship, and by focusing on the 'lived experience' of Moroccan migrant women's transnationalism between Morocco and Italy. It will interest students and researchers of transnationalism, migration and gender." Back in May, Ruba gave a talk on how Muslim women in Europe challenge a nationally and culturally bounded conception of citizenship and of the public sphere. Amazingly, she asserts that "Gender lies at the heart of the frictions occurring as a result of contemporary transnational challenges. Muslim women’s bodies are becoming a sort of public space itself where different agendas and rhetoric of modernity, secularism and performances of loyalty are inscribed." Well, since women are women and that is gender, I don't see the shock value of that but, you know academia today. Ruba Saliha holds a PhD from the University of Sussex and defines her private sphere as being a social anthropologist. She teaches at the Institute of Arab and Islamic Studies at the university of Exeter. 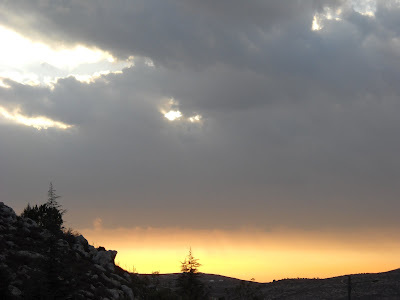 Kanaaneh shows the context in which reproductive practices and discourses have become significant markers of identity and otherness in the context of the Galilee and beyond. Like many other colonized people, Palestinians have internalized, almost in Fanon’s terms, the Israeli dominant representations that, through the modernization rhetoric and language, tends to depict them as pre-modern, or even anti-modern, irrational reproducers of large families. For many Palestinians, reproductive strategies and choices, thus, have come to be a major terrain against which to assess the modernity of people, or alternatively their authenticity and resistance to colonial, dominant discourse. These kinds of representations, however, are not simply imposed, but interact with deep-rooted Palestinian social constructions which, for example, tend to oppose the traditionalism of “Beduins” and villagers (fellahin) to the modernity of city dwellers (madaniin). the book could have reached an even greater value by discussing further how Palestinians in the Galilee are producing alternative conceptions of modernity that disrupt and contest the binary categorization of the Israeli state. Although Kanaaneh does underline that this dualistic attitude does not account for the whole picture, in that many people are indeed able to escape the dichotomous reductive framework imposed by the Israeli modernist dominant discourse, the reader would have liked to know more about these alternative ways of life and how they are conveyed in alternative narratives, for example, by highlighting how “modernity” comes to be indigenized by Palestinians living in the Galilee. Central in the Zionist project was indeed the de-arabisation and consequent Judaization of Palestine. Along with the entire eradication of Palestinian villages, the Israeli state has carried out this project throughout the years by means of a powerful immigration policy and other instruments, such as the political use of census, family planning and the development of a powerful and pervasive modernization narrative which constructed reproduction as a field whereby to assess the modern or rather backward character of a people. And the reason I went into this detail is that Ruba was the main speaker at a conference at Ben-Gurion University this past week and spoke on "Diaspora, Transnational Migration and 'Returns': Rethinking Palestinian Refugeehood". Now, don't get me wrong. I am all for academic discussions including all sorts of subjects and opinions. And I think it fit and proper that Israeli universities should be studying and researching similar topics as those at that conference. a. why don't Arab institutions of higher learning do the same? b. why do Israeli universities always invite the most anti academics possible? c. why are the panels so unbalanced? 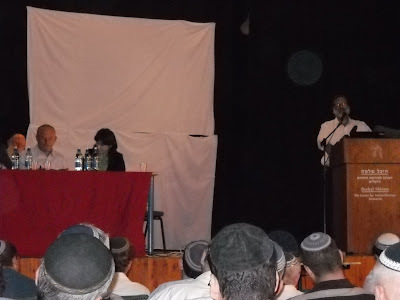 One responder to Ruba was Oren Yiftahel, one of the most post-Zionist lecturers around and the other was Sapa Abu-Rabiya. From Hebron, 25 tones of juice was confiscated from a warehouse. The products were destined for Gaza but did not receive permits and spoiled in the storage area. A local retailer bought the spoiled goods for sale in the West Bank, officials said. ...Customs officer Ghaleb Dewan said seizing the goods, both expired and settlement-made, was in accordance with a 2005 decision by the Palestinian Legislative Council (PLC) to prevent products manufactured in settlements from being sold in Palestinian markets. Buycott Israel is a joint project under the coordination of the Canada-Israel Committee. We aim to support Israel by encouraging the purchase of products and services from Israel. Purchasing Israeli-made merchandise is a great way to send a positive message. Buycott Israel will also help you combat boycott and/or divestment campaigns against Israel. We will alert you to BDS efforts and give you the tools to fight back. It is the buycott versus the boycott — and it starts a week today. The “buycott” is a call to Jews all over the country to buy as many Israeli products as they can. The initiative has come from the Board of Deputies and the anti-boycott Fair Play Campaign to thwart a planned anti-Israel boycott against two major supermarket chains by the Palestine Solidarity Campaign. The PSC has asked its followers to boycott Waitrose and Morrisons between November 7 and 15 after it claimed that the firms had refused to discuss the issue of produce from West Bank settlements which they might stock. In an email, the PSC called on its supporters to “deluge Morrisons and Waitrose with phone calls on November 11”, as well as organising demonstrations, writing letters and setting up leaflet stalls outside branches. No, not because we have so few citizens and not because we have not that many natural resources, like oil. And not even because too many people of displaying ignorance about the history of the conflict and too much anti-semitism. Because of people like her. Just before Yom Kippur, Robi Damelin, 65, an activist in the Israeli-Palestinian Bereaved Families for Peace (also known as the Parents Circle - Families Forum, or PCFF), revealed in these pages ("I forgave him," Haaretz Magazine, September 25) an unusual letter of reconciliation that she'd written to the Palestinian sniper who killed her son David, an officer in the reserves. In March 2002, Ta'er Hamad positioned himself with an old carbine rifle on a hill opposite a checkpoint in Wadi Haramiya, killed eight Israeli soldiers and two Israeli civilians - and escaped unscathed. [I pass that spot twice daily and my neighbor Avigdor Schatz was wounded trying to extricate those caught up in the ambush] Two and a half years later, in October 2004, he was arrested by an Israel Defense Forces unit operating in his village of Silwad. After learning of his incarceration, Damelin decided to contact him and his family, seeking reconciliation. So, what was Hamad's response? "I recently learned of the contents of a letter by Robi Damelin, mother of the soldier David, who was one of the 10 soldiers of occupation who were killed in the operation for which I was sentenced to 11 life terms," Hamad wrote. "I cannot address the soldier's mother directly. Not because it is difficult for me to convey my response from prison, but because my hand refuses to write in a style that epitomizes the policy of the occupation, that refuses to recognize and to accept the rights of our people. I cannot hold a dialogue with someone who insists on equating the criminal and the victim, and on equating the occupation with its victims. This is my response to the letter of Mrs. Robi, and I hereby criticize her sarcastic style when she thinks that with emotional words it is possible to resolve this decades-old conflict." ...his letter is full of political cliches. It contains no deep thinking beyond the political justification of freedom fighters who seek to achieve their own state." ..."Ta'er," she wrote, "you wrote that David went to the army in order to kill, but this young man, who spent most of his time attempting to effect a change through education, said: 'If I go to reserve duty I will treat everyone with respect and so will my soldiers.' I think that these are not the words of a violent person. I think that these are the words of a person who is certain that we should not be in the occupied territories. A Palestinian I met after you killed David told me that he spoke with my son the day before and that he was sorry to hear that David had been killed. This is the human side of the conflict. You say that you killed 10 soldiers and civilians with the goal of ending the conflict. Is it possible that there was an element of personal revenge, as you had seen your uncle violently killed by Israeli soldiers as a child and had lost another uncle in the second intifada? Do you think you changed anything? I think that the killing of human beings, on both sides, only contributes to the cycle of violence." ..."When I told Eran [her oldest son] that I received a letter from the sniper, I expected him to say, 'For god's sake, Mom, let this thing go.' But he said something very beautiful. He said, 'Mom, this is also the beginning of a dialogue.'" But of the deaf...and dumb. Four Arab youth were lightly wounded on Friday morning when a brawl broke out between Jewish and local Arab youths in Jerusalem's Beit Safafa neighborhood, Israel Radio reported...The Jewish youths reportedly fled Beit Safafa by car, later telling police that they had rushed away from the scene because they had felt threatened. They were taken in for questioning. The state prosecution demanded unprecedentedly harsh punishment in a charge sheet against six minor girls who demonstrated outside the home of former Yehudah and Shomron (Judea and Samaria) Division Commander Maj.-Gen. Noam Tibon. According to the charge sheet, the six girls were guilty of “insulting a public servant” and “invading the privacy” of Tibon -- charges that are rarely punished with actual jail time. Yet the state prosecution demands that the minor girls be incarcerated. Attorney Chaim Cohen, who represents one of the girls, has filed a request to the President of the Magistrates' Court for Youth in Tel Aviv, Judge Galit Mor-Vigotsky, to annul the charge sheet. That we were doing the Qasam firing? JERUSALEM (JTA) -- Lebanon's president accused Israel of setting up a Katyusha attack on southern Israel to keep tensions high in the region. Michel Suleiman on Thursday told Lebanese media that an Israeli agent may have fired the rocket. He said the fact that Israel has said it will continue to collect intelligence from southern Lebanon lends credibility to his claim. Each Saturday morning without fail, Orthodox Jewish families in North Hollywood emerge from their homes and slowly make their way to the many synagogues along the area's leafy streets and boulevards. The observant Jews pass by kosher restaurants, groceries and day schools, welcoming one another with the traditional Sabbath greeting -- "Good Shabbos." ..."It's like a small Israel," said Rami Barzilay, 77, owner of Elite Market down the street from the Adat Yeshurun Valley Sephardic Synagogue, the site of Thursday's shooting that wounded two congregants. Due to rain, Rabin Memorial Assembly at the Square postponed. Some of us must have been praying mighty hard. Can you imagine looking back on the awesome, life-changing spiritual journey you took each year for five years on the Pacific Coast of California with a group of loving friends from around the globe, where you learned, loved and celebrated each New Year as a symbolic renewal of the amazing life you’d been given? Explore the 5-year journey here! Integral Spiritual Experience has been designed as a circular 5 year journey that moves from the deeply personal in year 1, proceeds through the universal in year 3, and returns back again to the personal in year 5. Each year ends with the foundation lain for the following year, and the entire 5 year process recapitulates the dialectical arc of human spiritual exploration and practice itself. Wow, a five year commitment - or investment. The pattern repeats itself: A relatively marginal Jewish organization calls upon the public to hold prayers on the Temple Mount to mark Yom Kippur, Sukkot or, as was the case this week, "Rambam Day" (commemorating Rabbi Moses Ben Maimon's visit to the Land of Israel in the 12th century). These announcements win a great deal of attention in the Palestinian and Arab media, of course. Muslim clerics, Palestinian politicians and members of the northern branch of the Islamic Movement in Israel urge Muslims to flock to the Al-Aqsa Mosque to defend it from Jewish "takeover attempts." On the day of the "operation," these groups arrive at the Temple Mount, accompanied by Arab media representatives (especially the Al Jazeera TV crew). They all wait until 7:30 A.M., when the Israel Police open the Mughrabi Gate to entry by non-Muslims. The Jewish groups do not even bother to show up, but the police who enter to enable the hypothetical visit are greeted with massive stone-throwing. Their [the Fatah activists'] main intention seems to be to make their presence felt, to let off steam and then to return to routine in the compound. But the political environment, and especially the media, pushes them [aw, they are so weak thos Fatah bullies] to make very aggressive statements against Israel [wait! would that not be considered incitement, something prohibited by the Oslo Accords?] , including accusations of attempts to damage the Al-Aqsa Mosque, even though nothing has changed on the ground at the Temple Mount in recent weeks. On Sunday evening, the bureau of Palestinian Authority President Mahmoud Abbas released a statement condemning Israel for "extremist activities at Al-Aqsa." In the extraordinarily scathing statement [for Haaretrz, that is] , the Palestinian Authority accused Israel of sending Jewish soldiers and officers to damage the mosque, and of taking provocative steps against the Arabs of Jerusalem. "Jerusalem is a red line that must not be crossed ... The Palestinian people and its national authority will defend the holy places," declared the statement. This was the first time Abbas' bureau had used the terms "resistance" and "battle." It also said: "Our people will continue to cling to the land of our holy city and will be victorious in resisting its Judaization, its takeover and the expulsion of its citizens." Nabil Abu Rudeineh, the president's spokesman, called upon the Palestinian people to overcome the disputes and "to unite in the battle to defend Jerusalem and the holy places." Out to do battle, are they? Is Ha-Ha-Haretz for them or for us? The problem is that members of Fatah's military wing - who dropped out of the armed struggle against Israel after Hamas' violent coup in Gaza in June 2007 - could take the talk about resistance literally, and go back to initiating attacks. By the same token, Fatah's attempts to help organize the riots on the Temple Mount are liable to exact a high price in violence. Yes, indeed, that is a problem, but for whom? For Ha-Ha-Haaretz? For Fatah? For the Arab masses? For Israel's security personnel? Maybe we should take a dangerous toy away from them? ...J Street officials expressed fear that Obama was the last, great hope to resolve the Israel/Palestine conflict and provided a platform for those who argued about the “demographic threat” (more Arabs than Jews in the land of Israel and Palestine, something happening as we speak). There is something fundamentally racist about calmly analysing the higher Arab birth-rate threatening to swamp Jewish lives. Imagine if white Australian parents worried about Aboriginal children “threatening” the purity of their children. ...Occupation isn’t something to be ignored or defended. It has placed modern Judaism morally on its knees. I hope, jovially, of course, but justly, that this J Streeter would agree that nothing will be off the tabel, ever, when Iran is discussed. As for the throwaway "racist" lines, heck, that's just playing up to the only people that will countenance his presence among them. After all, I would presume that that is the same reason for which he wears a thing-a-ma-jig in his ear. The Goldstone report may well mark the end of Israel's limited wars against terrorist groups. Israel cannot afford to continue to be drawn into mini-wars against terrorists hiding behind their own civilians to attack Israeli civilians, given that each such conflict inexorably draws the Jewish state one step closer toward pariah status. Limited victories on the battlefield are being turned into major defeats in the arena of world opinion. ...If attacks do intensify – as they have in recent days – and the quiet achieved by the Gaza offensive is forfeited...And Israelis' [sic!] operative conclusions will likely lead to a less restrained response next time – the oppposite result Judge Richard Goldstone sought to achieve in his attempt to deny Israel the right to self-defense. Benny Morris published a book which detailed the chronology of the early 1950s and the struggle against the fedayeen and just as his "new history" collapsed and with drastic results for peace, this new military dead-end will also be problematic. Israel's leading revisionist historian returns to the archives and argues that Israel was ultimately the party most responsible for keeping the Arab-Israeli conflict going right after the 1948 war. With their eyes on gaining more Arab territory, Israeli leaders did not take advantage of the peace offers coming from Jordan and Syria. ...Like revisionist historians reviewing Soviet-U.S. relations, Morris is determined to show, against all experience and commonsense, that the democratic and liberal country is the one that initiated, maintained, and benefited from conflicts. Let's just say that if David Ben-Gurion was, in Morris' description, a "virtuoso manipulator of facts," then Morris has established himself as a virtuoso manipulator of archival records. Of course, all those that supported disengagement (see here and here) should be beating their chests or hiding in a confessional booth somewhere but, hey, no one really punished a pundit. I first commented on this matter at my Hebrew-language blog and also here. JERUSALEM — Israeli authorities have launched a secret arrest campaign against the right-wing opposition on charges that are subject to change and sometimes unspecified. Those arrested were warned not to report their detention, and the media have been banned from reporting developments. "I don't know anything," attorney Adi Kedar, who has been defending several of the detainees, said. "All the material is classified and only the judges know." Critics said the campaign was meant to discredit the growing Jewish opposition to the government policy of freezing Jewish construction in the West Bank and dismantling communities deemed illegal. Israel's military, police and internal security agents [ISA] [actually, that should be GSS=General Security Services] have conducted raids of the homes of suspected right-wing activists in the West Bank. The campaign, said to be linked with a military plan to dismantle dozens of Jewish communities in the West Bank, began with the arrest of a former U.S. Marine on Oct. 7. Authorities obtained a court order to ban publication of his arrest and remove all references to the detention on Israeli news websites. The Israel Security Agency has held the former Marine incommunicado since his arrest, and the court ordered a three-week ban on publication. Statements by prominent Israelis on the arrest were also prevented from being published. Two weeks later, the Israel Security Agency, accompanied by police and army units, arrested other Jews opposed to the government policy to evacuate Jewish communities in the West Bank. 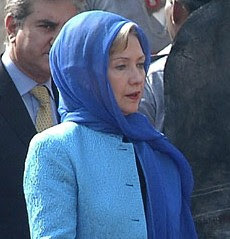 The wife of the Marine was stopped as she was driving to attend a court appearance by her husband on Oct. 21. The hearing in front of Judge Noga Arad in Petah Tikva was held in-camera, with a defense attorney in attendance. Legal sources close to the campaign said defense attorneys have not been informed of the exact charges or evidence against their clients. The sources said the Supreme Court has rejected an appeal to release evidence or submit formal charges. "In the past, they used this [ban on meeting with legal counsel] mostly against terrorists, but there were a few Jews who were not permitted to meet with an attorney about six or seven years ago in the case of the non-existent Jewish underground," Kedar said. "They were about 10 people who were detained for a month and later released without any charges." Kedar said ISA usually cites national security for denying detainees access to their attorneys. He said the main reason was to isolate Jewish dissidents. "In my opinion, the main reason is to break the person," Kedar said. "To the courts they say other things but in my eyes, the sole aim is to break the person. In the past, this has proven itself as unnecessary." On Oct. 22, two other Jewish residents of the West Bank were arrested from the Jewish community of ____ ____ in the West Bank. About 60 soldiers, police and ISA agents stormed a mobile home of a 23-year-old, blindfolded and interrogated him in a secret facility for 12 hours without food and water. The 23-year-old suspect, who without a court order was forced to sign a 10,000 shekel bond and relinquish his passport, was accused of being involved in a series of unresolved murders of West Bank Arabs from the 1990s. One of the killings took place in 1997 when the suspect was 10. The sources said authorities have repeatedly revised their charges against the detainees. They said the ex-Marine was first accused of killing two gay youths in August 2009, and then blamed for the killing of Arabs in the 1990s and early 2000s. The 23-year-old suspect was at first presented with a court order that accused him of murder, the sources said. Later that day, the order was revised and accused him of conspiracy. The critics said the arrests were timed to the memorial of the assassination of Israeli Prime Minister Yitzhak Rabin in 1995. An Orthodox Jew and former ISA staffer has been serving a life sentence for the killing. "Every year this time, there are rumors of a Jewish underground in time for the Rabin festival," Arieh Yitzhaki, a military historian and regarded as a leading critic of the government, said. "They've accused him [the Marine] of every unsolved murder that ever occurred." ISA has recruited some of the major Israeli dailies in the campaign against right-wing Jewish dissidents. The Maariv daily has published an article of unsolved cases of the killing of Arabs in the West Bank attributed to Jewish settlers. "The Shabak [ISA] decided that these are acts of settlers, despite that fact that the police said they are examining all avenues of investigations," Yitzhaki said. "And of course, there are the draconian administrative expulsion orders." In early October, the army served six-month expulsion orders to three Jews who live in the West Bank. None of them was charged with a crime, but security officials said they threatened the security of the state. Israeli attorneys involved in defending right-wing dissidents said the election of Prime Minister Binyamin Netanyahu has not changed policy toward the Jewish settlement movement in the West Bank. They said Jewish communities deemed unauthorized have been raided and sometimes dismantled on a weekly basis. Prosecutors have succeeded in reversing lower-court decisions to free right-wing dissidents, the attorneys said. In Israel, the prosecution as well as the defense has the right to appeal court verdicts. Major Israel human rights organizations have refused to represent or speak out against the campaign. Many of the major organizations, particularly the Association for Civil Rights in Israel, receive funding from both the government and Western sources. "Until now we weren't approached by either the person or his attorney," ACRI spokeswoman Nirit Moskowitz said. "Unfortunately, this [violation of the right to legal counsel] does happen, mostly to Palestinians." Ms. Moskowitz said that the case of the former Marine is an absolute violation of civil and legal rights. "This [denial of an attorney] is definitely prohibited," Ms. Moskowitz said. "This is against the law." Clash around Al-Aqsa Mosque cannot be resolved through religious dialogue. An interesting collection of commentaries from Azerbaijan, Baku. The problem of clash between the Arab and the Orthodox Jews and the Israeli police around the Al-Aqsa mosque cannot be solved by a religious dialogue, because the problem is a continuation of the Arab-Israeli conflict, experts believe. Analysts also do not rule out that it may trigger a new wave of violence in the region. ...analysts believe that the conflict caused by the clash around Al-Aqsa is political in nature, although it arose between representatives of different religions. ..."The problem is that the Israeli government is trying to gain upper hand over all Jerusalem," Director of the Royal Institute for Interfaith Studies, Hasan Abu Nimah, said to Trend News in a telephone conversation. "This problem cannot be solved through inter-religious dialogue and negotiation between religious communities, because that arose as a result of policies of the Israeli government." 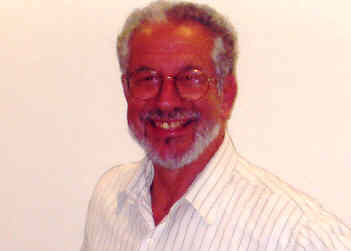 ...American professor in the religious studies Carl W. Ernst said that the Israeli-Palestinian dispute cannot be solved by religious dialogue, since it is based upon nationalism and dispute over territory. "Religion is used to harden the positions of opposition between the different parties. If the problem is taken out of the sphere of religion, then it is much more likely that compromise is possible," Director of the Center for the Study of the Middle East and Muslim Civilizations at the University of North Carolina W. Ernst wrote Trend News in an e-mail. ..."It is a nationality issue of sovereignty, not only the issue of religion," Senior Research Fellow of the Chatham House British Royal Institute of International Affairs, [Yossi] Mekelberg told Trend News in a telephone conversation. "The problem of Jerusalem is a very important issue and so the [Middle East] quartet will be involved in this to encourage the both sides [Palestinians and Israelis] for talks […], in order to end the violence." Something astonishing, even alarming, is taking place in the battle over the future of Jerusalem...much of the anger and dismay in the Israeli and international press is being directed, ironically enough, at Jews who merely wish to visit the site. ...Local pundits and commentators alike have also joined the fray, going to great lengths to justify the restrictions imposed by the police on Jews wishing to visit the Mount, even accusing the would-be pilgrims of seeking to trigger a firestorm of Islamic fury. It does not seem to bother them one whit that the policy in place today is entirely discriminatory in nature, as the followers of Muhammad are allowed to visit and pray where Solomon's Temple once stood, but not the followers of Moses. Indeed, all the enlightened defenders of civil rights, and the champions of equality before the law suddenly fall silent when capitulation to Muslim threats is given preference over respecting vital Jewish rights...Before our very eyes, we are witnessing a concerted effort to delegitimize and even demonize our people's most cherished dream: the longing for the Temple. ...Opine all you want about how to "solve" the Jerusalem issue, but don't belittle the place of the Temple in Jewish eschatology or belief. Like it or not, the longing for a rebuilt Temple is no less central to Judaism than the desire for peace or social justice. And dreaming of a time when the Temple will stand again is no more fanciful or fanatical than hoping for the day when poverty and hunger will be eliminated...Vilifying those who uphold this belief is simply an act of small-minded intolerance and bigotry, and it has no place in the current debate. And denying Jews the right to visit the Temple Mount is no less objectionable, for it tramples upon the principal constitutional values which underpin our democracy. ...let's stop bad-mouthing those who want to visit or pray where our forefathers once stood. And let's bear in mind one very important rule: The real extremism is not to dream of a Temple, but to attempt to silence those who do. ...and I also believe that Jews have created gentile hostility by demanding equal rights but refusing to surrender their ethnic integrity. Books have been written about this by a number of authors who are not overtly anti-Semitic – e.g. Kevin MacDonald and Albert Lindemann – and Arendt’s analysis of Jewish “responsibility” for anti-Semitism can hardly be dismissed as due to her “perverse world-view”, let alone her “combination of ira et studio [sic]”. The above was contained in a letter that has appeared in The Times Literary Supplement signed by Howard M. Kaminsky of 6130 Ridge Lane, Ocean Ridge, Florida 33435. The letter responded to Bernard Wasserstein’s Commentary on Hannah Arendt which appeared there in the October 9 issue when he accused her of “bile” in her treatment of everyone, but especially of “her own people” the Jews and his charges relating to Arendt’s use of Nazi authors and"her inadequate love of the Jewish people". Kaminsky seems to be the author of A History of the Hussite Revolution. Berkeley: University of California Press, 1967 and is a retired faculty member, Emeritus, of the University of Chicago, where he taught in the fields of Medieval Europe. I managed to find one academic paper. Kaminsky is an expert in the field of hussies. Are You Attending The Jerusalem Conference in Washington? The Jerusalem Conference announces a unique one-day conclave on Capitol Hill in Washington DC on Tuesday, November 3, 2009 for policy-makers from Congress, the Pentagon and State Department. The Washington meeting is a prelude to the annual Jerusalem Conference, February 15-17, 2010, in Jerusalem, Israel’s capital. Attendance to the Washington conference is by invitation only. The issue that Israel needs to make clear is that Gaza was no worse a hell than many other assymetric instances of warfare, for example, Iraq, Sri Lanka and Chechna, and in many ways, Gaza was outstanding in the standards of moral behavior in such invidious situations when a terror group initiates attacks against a civilian population and then blatantly uses their own civilians as shields. Henna is a plant and it is used in an Oriental custom, done in the company of women just prior to marriage. THE corpse of a man has been found on the roof of a police station in northern India where it was placed over two years ago during an inquiry, a report said today. The body of Chukkan Nishad, a 22-year-old who went missing in July 2007, was meant to be sent for DNA testing but was instead put in a body bag and placed on the roof, the Mail Today newspaper said. The newspaper, citing Nishad's father and local officials, said the family kept requesting the body at the police station but were repeatedly told there was an investigation underway. "I admit it is a horrible case, possibly the first of its kind,'' said Ram Sabad Ram, the new station master in Azamgarh in northern Uttar Pradesh state. The Mail said the body was placed there after local authorities refused to release the funds for the DNA test on Nishad, whose death remains a mystery. Mr Ram said police were now completing the formalities to return Mishad's remains -- no more than bones after two years exposed to the elements - to his family. Nishad's father was led to the rooftop three days ago by a "sympathetic constable'', the paper said. 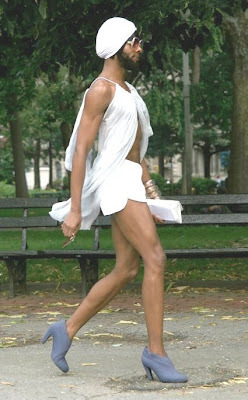 Okay, he may be gay or it just might be a very hot day and he forgot his sneakers at home, but how do I know if he's a terrorist? If Israel continues with its current policies concerning Jerusalem, it will lead to a "religious war," Palestinian Authority President Mahmoud Abbas said Wednesday. In a speech he delivered on a visit to Morocco, the PA president said that "the fanning of flames by Israeli extremists has caused the dangerous situation which currently prevails in Jerusalem." And if Abbas continues his own policies vis a vis Israel...? exile, and has realized the dream of generations. We have, with our own eyes, been privileged to see the return to Zion, the return of the children to their borders. Here, in the land of Israel, we returned and built a nation. Here, in the land of Israel, we established a state. The land of the prophets, which bequeathed to the world the values of morality, law and justice, was, after two thousand years, restored to its lawful owners -- the members of the Jewish people. On its land, we have built an exceptional national home and state. However, we did not return to an empty land...Today, after innumerable wars and bloody incidents, we rule more than two million Palestinians through the IDF, and run their lives by a Civil Administration. This is not a peaceful solution. ...We are striving for a permanent solution to the unending bloody conflict between us and the Palestinians and the Arab states. ...We view the permanent solution in the framework of [the] State of Israel which will include most of the area of the Land of Israel as it was under the rule of the British Mandate, and alongside it a Palestinian entity which will be a home to most of the Palestinian residents living in the Gaza Strip and the West Bank. C. Changes which will include the addition of Gush Etzion, Efrat, Betar and other communities, most of which are in the area east of what was the "Green Line," prior to the Six Day War. ...the primary obstacle today, to implementing the peace process between us and the Palestinians, is the murderous terrorism of the radical Islamic terrorist organizations, Hamas and Islamic Jihad, which are joined by the rejectionist organizations. ...A. In the Cave of the Patriarchs, the current arrangement for security and the Jewish and Muslim prayers will continue as is. We agreed that we would examine the overall arrangements in Hebron after three months. We do not intend to change anything at the Tomb of the Patriarchs. B. At Rachel's Tomb, the principle was determined that worshippers and visitors would not encounter Palestinian police, neither on their approach to the Tomb nor during their prayers. The main road to Rachel's Tomb from the Gilo area up to the tomb itself, will be the responsibility of the IDF. Guarding Rachel's Tomb compound will be the responsibility of the IDF (or the Border Police), including three guard-posts outside the compound, which overlook the parking lot. Moreover, security for the area will be provided by joint Israeli-Palestinian patrols activities, in order to preserve the peace and security of those coming to Rachel's Tomb. ...And as for the archaeological sites, we found a solution by mutual agreement, that no changes whatsoever will be made at any archaeological site, without the agreement of both sides. ...2. "Nothing in this Agreement shall prejudice or preempt the outcome of the negotiations on the permanent status to be conducted pursuant to the DOP. Neither Party shall be deemed, by virtue of having entered into this Agreement, to have renounced or waived any of its existing rights, claims. or positions." ...Today we may be opening a new stage in the annals of the Jewish people and the State of Israel. We know the chances. We know the risks. We will do our best to expand the chances and reduce the risks. 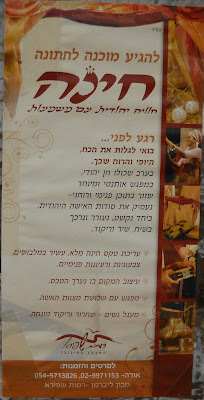 It's in Hebrew, but the pictures for those who don't understand are great in any case. It is a clip, some five minutes long, from a TV news report on the wine grown and produced in Shiloh vineyards and others in the Benjamin Region. Menachem Horowitz is the reporter and he first shows up at Givat Harel's vineyards and talks with Shibi Drori and then visits the Shiloh winery with its manager, continues on to the the Psagot winery and talks with Yaakov Berg and later, interviews Amnon Weiss, an owner of a wine-producing firm, and then talks with the owner of a very non-Kosher restaurant in Tel Aviv who sells the wine to his customers. Nice shots of the hills I live in, the vineyards I see and even the wine I drink, when I can afford it. Subject: Goldstone Forum Action Planning - Wed. @ 10! As many of you know, Brandeis will be hosting a forum next Thursday, 11/5, to discuss the Goldstone Report, a report from the United Nations which determined that Israel used excessive force in its occupation of Gaza. 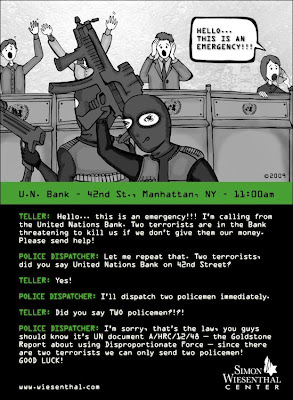 Believe it or not, this was poorly received within the Zionist community. Thus Brandeis is hosting a forum between the report's author, international jurist Richard Goldstone, and former Israeli Ambassador to the UN, Dore Gold. Many of us are concerned that this forum is inherently slanted, as it contrasts 'nuetral' [sic!] international opinion with a wildly pro-Zionist message, excluding voices from the Palestinian community. In light of this, activists across campus will be meeting this Wednesday, 10/28 @ 10 PM in the Village C Lounge to discuss a possible response. Possibilities include inviting Palestinian speakers to come participate, seeding the audience with people who can disrupt the Zionist narrative, protest, and direct action. Please come and help us coordinate a response! Jonathan, what can I say? The Temple, over which we now see such weekly struggles, was built by Herod who, for all intents and purposes, was not Jewish. He had not an ounce of Jewish blood in him...The Temple itself, which he began early in his reign in the 20s BCE, was not finished until shortly before its fall in 70 CE. Herod in fact was a typical Arab potentate, combining the worst qualities of a latter-day Saddam Hussein and the harem aspects of the House of Saud. Herod expanded the existing Temple, first constructed by Ezra and renewed by the Hasmoneans. It wasn't a new Temple. What is Eisenman trying to prove? Hmm, now that is an interesting approach. Thus, the entry of a group of visitors to the Temple Mount/Haram al-Sharif a month ago, on the eve of Yom Kippur, ignited a wave of violent riots that went on for days and caused injuries among the demonstrators and policemen alike. Excuse me? What ignited the wave of violence? Her chronology is off. It was Salah Raad who initiated the inflammatory atmosphere by continuing, as he has done for years, to make up fantasies, stoke his followers with hatred based on fallacies and prime them. Riots on the Temple Mount were orchestrated by the Palestinian Authority, which maintained an operations room from which its officials guided the violence, Jerusalem police sources told WND. The sources said the PA manned the operations room with the Islamic Movement, a Muslim fundamentalist organization involved in Temple Mount activism. The intelligence unit of the Jerusalem police discovered the room Sunday, the same day as the clashes, the police sources said. Information from the room's discovery led to the arrest on the mount of PA President Mahmoud Abbas' top adviser on Jerusalem affairs, Hatam Abd al-Qadir, on suspicion of disorderly conduct, the police sources told WND. Police said al-Qadir, detained during the clashes, attacked officers and urged worshipers to hold protests. ...A number of provocations and inciting statements, called for violence, totally fabricated any Israeli step or intent. These violent incitements began, on 27 September, without any connection to recent events in this hall, contrary to claims made by some. 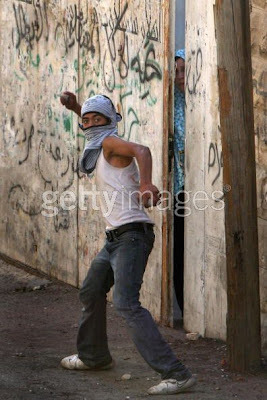 Individuals gathered and threw rocks and other projectiles from the area around the mosques on the Temple Mount, and a number of locations in East Jerusalem. All of this was met by extreme restraint by Israeli police and officials. Regular contact, consultations and updates were held with officials from Egypt and Jordan in order to ensure calm. And here is a good recent background overview. Israeli Antiquities Authority (IAA) archaeologists have been excavating a stepped street south of the Temple Mount, believed to have been the path used by pilgrims during Second Temple times to ascend to the holy site. The path connects the Pool of Siloam to the Temple Mount. The City of David excavation, financed by the Elad foundation in cooperation with the Nature and Parks Authority, is being jointly led by Haifa University archaeologist Prof. Roni Reich and IAA archaeologist Eli Shukrun. "[This is] where Second Temple pilgrims began their ascent by foot," Prof. Reich said. 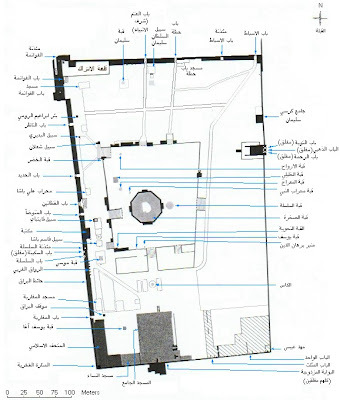 "This is the southern tip of the street, a section of which is exposed along the western side of the Temple Mount. That was picked up by Salah Raad as well as far-out radical Jewish elements like, like, oh, Orly is "an outreach coordinator at Ir Amim. She is a long-time social change activist". Ah, Ir Amim, that radical left-wing anti-"Jerusalem as Israel's one and united eternal capital" group that collaborates with Arab designs. Tu B'shvat, the Jewish Arbor Day, falls this Hebrew year at the very end of January 2010. Avi Beker points out how Benny Morris has basically, made a "Return to the fold" in his historiographical presentation of the Israel-Arab conflict. ...the post-Zionist era, has come to an end. The historical debate between Zionists and anti-Zionists hasn't changed, but it is no longer possible to hide behind claims of a Zionist conspiracy to expel Israel's Arabs and ethnic cleansing of the area west of the Jordan River. It seems that a group of historians, who actually did not offer any new insights into Zionist historiography, hid behind a fictitious structure of post-modernist realizations that became a system for distorting proofs and rewriting facts. ...More than anyone else, Morris provided the historical sources for the argument that the State of Israel was born as a result of a conspiracy to carry out the ethnic cleansing of the Palestinians. His books and articles provided the basis for an indictment of the State of Israel, something that helped the Palestinian and Arab leadership reject all peace efforts right after the Oslo Accords, at Camp David in 2000 and in discussions of Prime Minister Ehud Olmert's peace proposal in 2008. The narrative built by the New Historians changed the parameters of political negotiations: A peace agreement is not meant to correct the 1967 "occupation" and create a framework for territories in exchange for peace, but to atone for the atrocities of the nakba. It became apparent to all that the main obstacle is the problem of the right of return to all parts of the State of Israel. ...suddenly, 20 years later, Morris discovered that the Arabs had declared a jihad against Zionism already back in 1948. He explains his new approach as stemming from the opening of archives, including the Israel Defense Forces' archive, which were closed to researchers until now. He also adds that "in the current book, I placed the refugee problem within the overall context of the War of Independence," and with the help of recent studies, "I tried to present a new and comprehensive description of the war, and primarily of the connections between the military processes and the diplomatic processes." "A new description"? The exact opposite, in fact...The dismissal of the threats of jihad was intentional and critical for the rewriting in order to turn the nakba into a "holocaust", but the jihad was apparent to all: threats of annihilation were heard from all sides and even from the dais of the UN in 1947 and 1948. While well-known sites have de facto protection as a result of their international importance, many Muslim and Christian sites are neglected, inaccessible, or threatened by property developers and municipalities. The Christian pilgrimage sites around the Sea of Galilee face periodic threats of encroachment from district planners who want to use parts of their properties for recreation. In the past, only diplomatic interventions have forestalled such efforts. Such sites do, however, enjoy certain protections under the general Penal Law (criminal code), which makes it a criminal offense to damage any holy site. Following a 2007 order by the High Court to explain its unequal implementation of the 1967 Protection of Holy Sites Law, the Government responded in March 2008 that specific regulations were not necessary for the protection of any holy sites. The Government did not explain why it therefore promulgated regulations for Jewish sites but not for non-Jewish sites. In East Jerusalem, the Haram al-Sharif (Noble Sanctuary) contains the Dome of the Rock and the al-Aqsa Mosque, among the holiest sites in Islam. Jews refer to the same place as the Temple Mount and consider it the location of the ancient Jewish temple. The location has been, as with all of East Jerusalem, under Israeli control since 1967, when Israel captured the city (East Jerusalem was formally annexed in 1980, and thus Israel applies its laws to East Jerusalem). The Haram al-Sharif--and all other Waqf institutions in Jerusalem--are administered, however, by the Jerusalem Waqf, a Jordanian-funded and administered Islamic trust and charitable organization with ties to the PA. The Government of Israel, as a matter of stated policy, opposes non-Muslim worship at the Haram al-Sharif/Temple Mount since 1967. Israeli police generally do not permit public prayer by non-Muslims and publicly indicated that this policy remains operative even though non-Muslims visit the compound...A group of Jewish extremists vandalized a Muslim cemetery near the Haram al-Sharif/Temple Mount on May 22, 2009. The same day, a Jewish group carrying Israeli flags and wearing shirts depicting the Jewish temple attempted to forcibly enter the site. According to credible reports, the same group vandalized some Palestinian-owned shops in the Old City after Israeli police turned them away from the compound. U.S. Government officials discuss religious freedom with the PA as part of its overall policy to promote human rights. The U.S. Consulate General in Jerusalem regularly met with religious representatives to ensure their legitimate grievances were reported and addressed. The consulate general maintained a high level of contact with representatives of the Jerusalem Waqf. U.S. Government officials had frequent contact with Muslim leaders throughout Jerusalem, the West Bank, and Gaza. The consulate also maintained regular contact with leaders of the Christian and Jewish communities in Jerusalem and the West Bank. During the reporting period, the Consul General and Consulate General officers met with the Greek, Latin, and Armenian Patriarchs, leaders of the Syrian Orthodox, Russian Orthodox, Ethiopian Orthodox, Coptic, Anglican, and Lutheran Churches, as well as members of the Church of Jesus Christ of Latter-day Saints (Mormons). Consulate General officers also met with rabbis, other central figures from Orthodox religious groups, and representatives of other Jewish groups. During the reporting period, the Consulate General investigated a range of charges including allegations of damage to places of worship, incitement, and allegations concerning access to holy sites. Consulate General officers met with representatives of the Bethlehem Christian community and traveled to the area to investigate charges of PA mistreatment of Christians. The Consulate General raised the issue of seizure of Christian-owned land in discussions with PA officials and with the Jerusalem Municipality. ...and one kind of amusing note. As I traveled down the escalators this morning I heard several women complaining that most of the panels were all men. Apparently that was quite a topic on the sidelines because during one presentation one of the questioners called the panelists on it. So, same old, same old. Even the progressives are controlled by white males. But I did see plenty of women in the audiences. And there were more women than men wearing kippot. And more women than men with long gray ponytails. And I saw one participant wearing a rainbow kippa and a keffiya – she certainly was special. For the disgusting part, read her full post. Did you notice Mom peeking out from between the barrier? Is he making sure his aim is good?